His Eminence Mor Dionysius John Kawak celebrated Holy Qurbono, assisted by Rev. Fr. 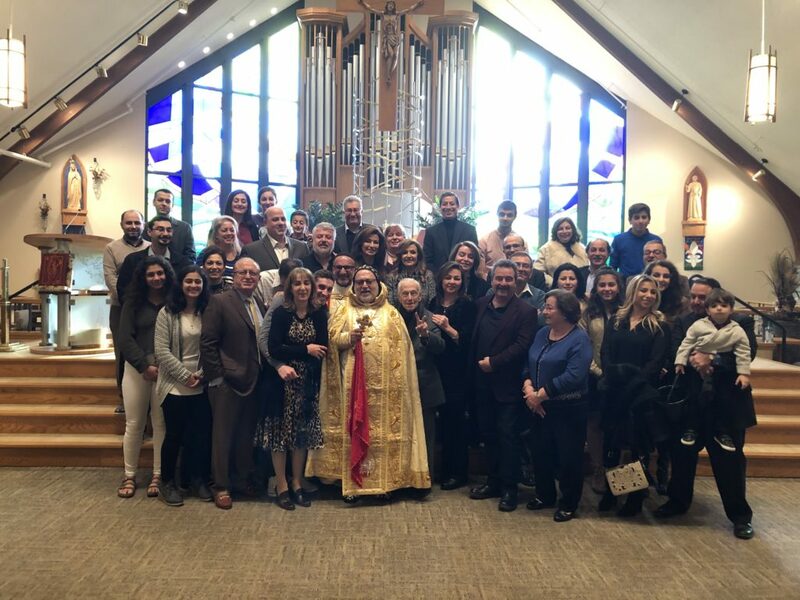 Samer Yakoub Youhanon, on Saturday, May 17, 2018 at St. Helen Parish in Indianapolis, IN. During the sermon, His Eminence spoke about the annunciation to Zachariah, mentioning that both Zachariah and Elizabeth were dedicated couple, walking in all the commandments and ordinances of the Lord blameless. Then he presented few thoughts or lessons to the husbands and wives advising them to have a better marriage. 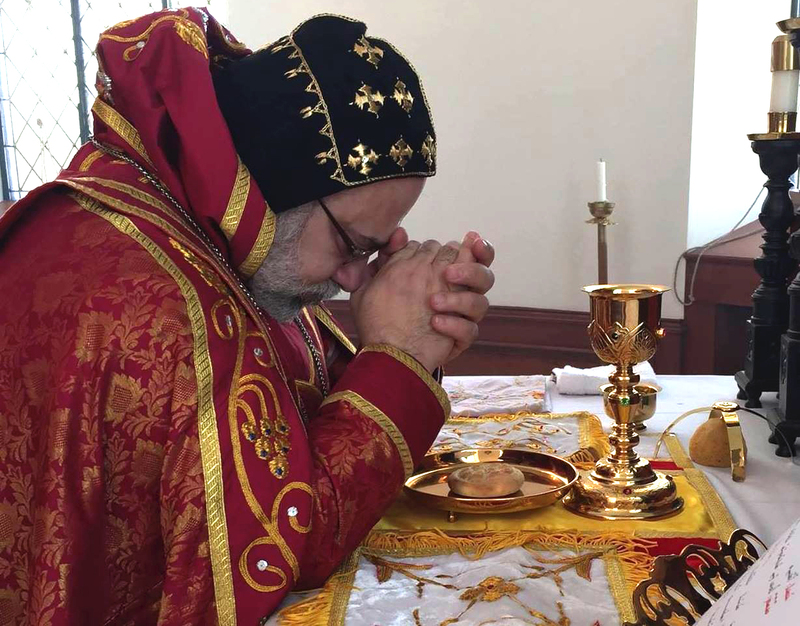 In his prayers, His Eminence asked the Lord to bless the congregation and prayed for their spiritual prosperity and health. Following the conclusion of Holy Qurbono, His Eminence was welcomed by the entire parish to the social hall of the church for an Agapy meal. His Eminence blessed the parishioners and the food before them and congratulated Rev. Fr. Youhanon and all the faithful for their hard work.